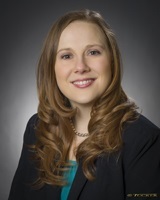 Stephanie Uhl is the Assistant Treasurer for Forest City Realty Trust, Inc. In her role she is primarily responsible for directing the company’s treasury function which includes overseeing daily management of cash, cash flow forecasting and managing banking partner relationships. Uhl has contributed as a subject matter expert in several areas of the Certified Treasury Professional Certification exam development since 2013. She serves on the AFP Board of Directors and has served on the board of the Northern Ohio AFP since 2013. In his current position, Rick works primarily with Middle Market companies throughout Northeastern Ohio. He has had experience covering treasury management portfolios in both the Cleveland and Chicago markets, including public sector, non-profit, middle market and large corporate organizations. Rick has over 19 years of banking experience and background in sales, management and strategy. Rick earned his Bachelor’s Degree from Miami University and MBA from The Weatherhead School of Management at Case Western Reserve University. He earned his Certified Treasury Professional certification in 2002. In her current position, Margaret manages all of the treasury operations including banking relationships, cash forecasting, working capital, credit card processor relationships, all payments including the Accounts Payable team. Margaret has over 25 years of Finance and Treasury experience. Margaret earned her Bachelor’s Degree from Ohio University. Ashley Cary is an Assistant Vice President for KeyBank Commercial Payments. In this role, she has managed all aspects of client onboarding processes and introduced new technology in this space. She has more than 8 years of experience in treasury management at Key. Ashley holds a bachelor’s in business management from University of Phoenix and a MBA from Ashland University. In her current position, Peggy works primarily with Small Business companies throughout Northern Ohio. She has experience covering treasury management portfolios for the Akron and Cleveland and Sandusky markets. She has been in banking for 30 years with experience and background in sales and team management. Peggy co-authored Fraud Stinks, published in the National Association for Women Business Owners (NAWBO) magazine. She currently manages the CTP mentoring program for Small Business within PNC. Peggy graduated from Kent State University with a BS in Economics. She earned her Certified Treasury Professional certification in 2012. 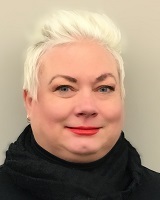 Jennifer Kontur is a Product Manager for Key Total Treasury®, KeyBank’s corporate online channel, within the Product & Innovation group in Enterprise Commercial Payments, specializing in Receivables, Image Delivery, Self Service and Online Help Resources. Jennifer also serves as one of Key’s subject matter experts on the Basel Accords and Regulation and previously managed various deposit account services and receivables product offerings. In these roles, she was responsible for developing and implementing product strategy associated with Branch Services, Check Processing and Returns, Remote Deposit Capture and Image Cash Letter, Account Structures and Liquidity services. Jennifer joined Key Bank in December 2003 and has over 15 years of treasury management banking and corporate accounting experience. She was awarded the National Check Payments Certification in June, 2014. 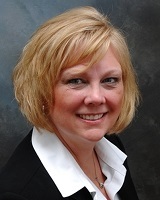 Jennifer has been an active member of the Northern Ohio AFP Board and Committees for over 5 years. Michael Lee is a senior vice president payments advisor team lead for commercial real estate across Key’s Footprint. Michael is based out of Cleveland and responsible for managing a team of advisors as well as working with clients directly to deliver treasury management solutions to meet the specific needs of the real estate industry. Michael has previously held positions at Fifth Third, PNC Bank and Morgan Stanley. Michael has more than 20 years of banking experience and is a Certified Treasury Professional (CTP). He earned an MBA from Weatherhead School of Management at Case Western Reserve University and a BS from the University of Akron. Mr. Webster is a Partner and Treasurer in Treasury Alliance Group LLC, a consulting firm that specializes in Payments and Treasury Management. He has over 35 years of experience in all areas of payments and treasury and risk management; and has worked with domestic and international clients in a wide variety of industries, including financial services, retail, insurance and government. The former head of the Treasury Management Consulting Practice at Coopers & Lybrand, Mark has led Bank Operations and Payments Consulting Practices as a partner at both PricewaterhouseCoopers and Capco. He has significant financial services industry experience, having worked for both regional and money center banks in a variety of roles including: CIO, Treasury Services Product Manager, and head of Payments Operations and Check Processing. Mark is a board member and Past President of NEOTMA , the Northeast Ohio Treasury Management Association and served on the CTP Body of Knowledge Committee of the AFP. He is a past Chairman of the Affiliates Council of NACHA, The Electronic Payments Organization, and was a voting member of NACHA’s Rules and Operations committee for many years. He is the principal author of The Essentials of Treasury Management, 4th ed., and has authored articles on the payments industry, risk management, and operational transformation for a variety of publications. Mark is a frequent speaker and lecturer on both a local and national level and has served on the faculty of The Payments Institute, The Institute of International Payments, Treasury Management Series at the Haas Business School at the University of California, and The Global Treasury Forum. 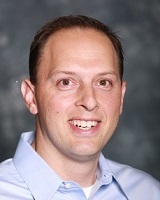 Mark is a Certified Cash Manager (Permanent), a Certified Public Accountant in the state of Ohio, and a Certified Systems Professional, and was a recipient of the Elijah Watts Sells award for national excellence when he sat for the CPA exam. He received his Masters of Business Administration with honors from Cleveland State University and attended Northwestern University for undergraduate.